Welcome to CIDEC, a research centre and graduate collaborative specialization. CIDEC's mandate is to promote excellence, collaboration, and innovation in comparative and international educational research at OISE. The CIDEC community includes over 50 faculty members, adjunct faculty, and visiting scholars. More than 120 graduate student researchers with an interest in international issues and comparative methodologies in the field of education are affiliated with the Centre. 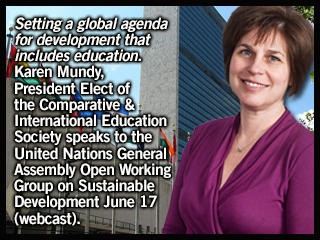 Read Karen Mundy and Francine Menashy's chapter titled "The World Bank, the International Finance Corporation, and Private Sector Participation in Basic Education: Examining the Education Sector Strategy 2020"
Watch Sarfaroz Niyozov, CIDE Faculty, and the Central Asia-Afghanistan Research Group talk the challenges to education in Afghanistan. Listen to more CIDEC webcasts. CIDEC’s annual Joseph P. Farrell Student Research Symposium 2019 (SRS) provides an opportunity for students to present their thesis research, a partial requirement of the CIDE program (for MA, PhD, and EdD students). Look out for the call for abstracts November 2018. 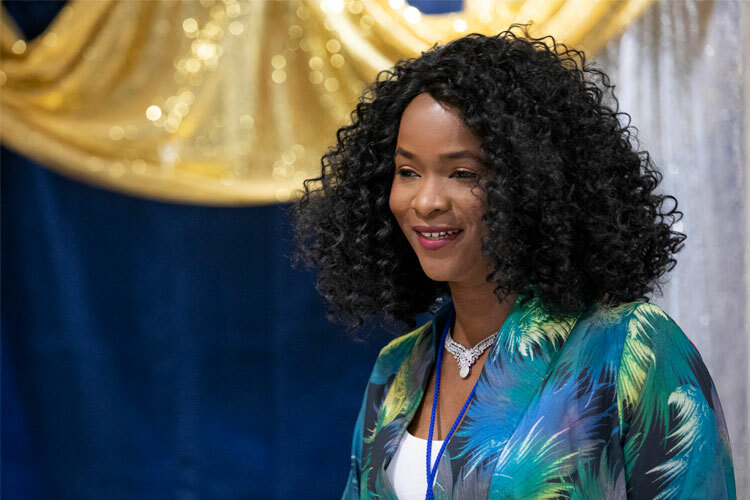 In 2018 nine CIDE students presented and over 40 students, alumni and faculty will likely attend throughout the day. Teachers InCIDE Teachers inCIDE SIG calling for new members!!! Teachers inCIDE is a graduate student interest group (SIG) at OISE that focuses on inquiry related to teachers and teaching from a comparative, international and development perspective. It promotes a peer support environment for graduate students’ research journey. 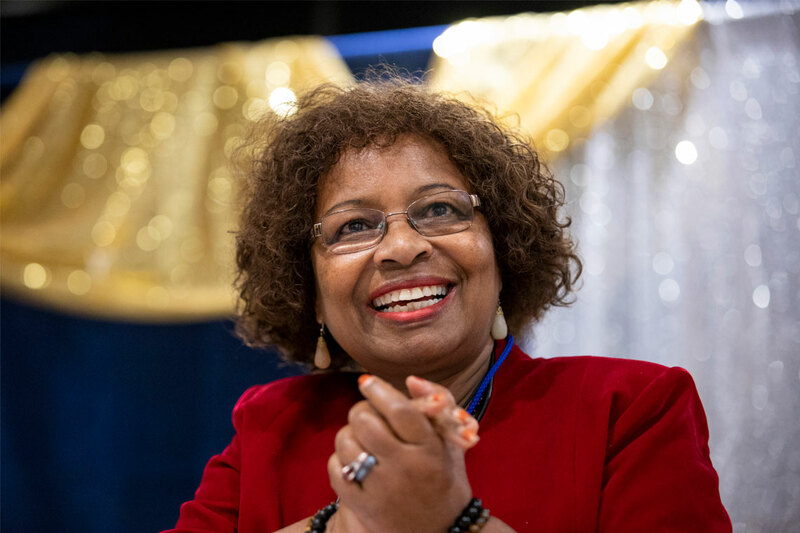 Through reading and discussing research articles as well as conversations with different CIDEC-affiliated professors, we aim to broaden our understandings of teachers' lives and work. If you are interested in joining the group, please send an email to teachers.incide.oise@gmail.com. We thank you for your interest. 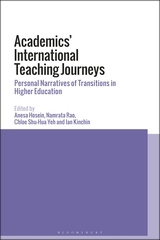 International Academics' Teaching Journeys: Personal Narratives of transitions in Higher Education, edited by Anesa Hosein, Namrata Rao, Chloe Shu-Hua, and Ian Kinchin and coming soon from Bloomsbury Press. 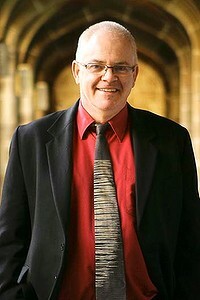 Joel Westheimer University Research Chair in the Sociology of Education, University of Ottawa. 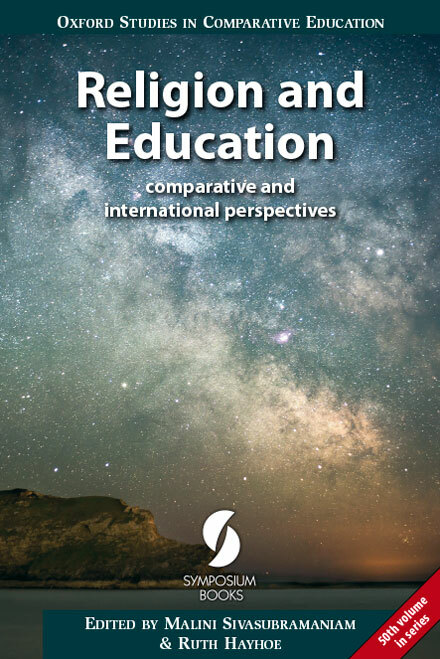 "Nation-states, educational traditions and the global patterning of higher education"
"Social integration as key to quality education: Lessons from refugee education"